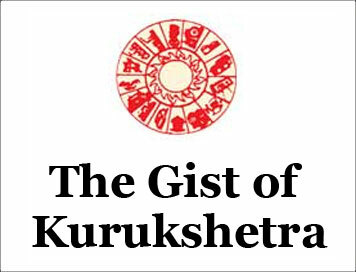 (The Gist of Kurukshetra) SABKI YOJANA, SABKA VIKAS [OCTOBER-2018] | IAS EXAM PORTAL - India's Largest Community for UPSC Exam Aspirants. Today, in keeping with the pace of transformation in the world around us, our villages are also transforming rapidly and in this effort they are getting ample support from the present government. The focus of the government is on ensuring the development, upliftment, welfare and prosperity of the village, the poor and the farmer. The government, through its sound policy on the villages, is making sincere efforts to bring the Panchayati Raj in to the realm of reality and in this mission it is aided by the effective schemes launched by it. By empowering and strengthening Panchayati Raj institutions, we are moving fast towards fulfilling the resolution of gram Swaraj as envisioned by the Father of the Nation, Mahatma Gandhi. There has been a lot of change as compared to the past and in the current scenario it cannot be denied that the smallest, but grass root unit of democracy in true sense - Panchayati Raj institution has a major role in taking the country forward. Panchayat is truly the foundation of democracy. It has been strongly felt by the government and in every quarter that the country will progress only when this institution is strong. In fact, Panchayat is the cornerstone of our national life, the backbone on which the entire governance rests. Workers and office bearers of Panchayat sare a link between the local community and political system. Systematic development of Panchayati Raj system is possible only with the help of these people. Panchayats, 6284 Block Panchayats and 595 District Panchayats in our country. The number of elected representatives at all levels of Panchayats is 31 lakhs. In this way, India's Panchayati Raj-system is the world's largest democratic system. Panchayats also play an important role in women empowerment. The number of elected women Panchayat representatives is 14 lakh 39 thousand. There is no doubt that the condition of rural women under Panchayati Raj system has improved considerably. Panchayati Raj system has succeeded in bringing social and economic changes in the condition of women and in giving them dignified life. It can undoubtedly be called the process of bringing about the most positive changes for women in the political sphere of the country. The number of elected women representatives in Panchayats is between 33 to 50 per cent. In view of this, it would be appropriate to say that Panchayati Raj system has proved to be a boon for women, SCS & STs and other backward classes. The most satisfying social aspect of the Panchayati Raj system is that while ithas strengthened our democracy, it has also ensured the active participation of the backward and disadvantaged sections of society. Mandatory reservation provision in Panchayats provided more than one million representatives of women, scheduled castes, scheduled tribes and other backward classes entry in the democratic process. The positive result of the Centre's efforts to implement the Panchayati Raj system at the grassroots level is gradually coming to the fore. Success stories of development are becoming more and more frequent. Rightfully, the Panchayati Raj system has changed the scenario and fortunes of our villages. Stories of success and achievements of this system are being heard from every nook and corner of the country. The deprived persons are getting their rightful place and entitlement through the intervention of Panchayats and they are directly being associated with the national mainstream of development. It is also a positive message for our community, society and the political system. For women, SCs and STs to get their obligatory rights is, besides fulfilling the dream of Mahatma Gandhi's Gram Swaraj, a true tribute to Baba Saheb Dr Bhimrao Ambedkar. The Panchayati Raj system is touching new heights of success in transforming the scenario of the villages. Although the villages and poor have been included in the agenda of all the governments, the fact is that only the present government has taken it up in mission mode. With special focus on the villages and the poor, all sorts of schemes have been formulated to strengthen Panchayati Raj system. Special campaigns have been taken up and also being undertaken to implement them at grassroots level. Mahatma Gandhi had the vision that the origin and flow of the Ganga of democracy should be in the villages. The first and foremost right to take a holy dip in this should vest with the village, rural people, poor and the farmer. Gram- Panchayats should be self-reliant in every way. They should, according to local needs and preferences and on the basis of common consent, prepare the plans of their own schemes and implement them sincerely. They should not be financially dependent on others and they must have enough freedom and authority to fulfil all these tasks. There is no doubt that the schemes being formulated under the Gram Panchayat Development Plan (GPDP) will bring economic and social prosperity to the villages and desired development will be possible at the local level. Gram Panchayat Development Plan is a revolutionary initiative of the present government. It envisages that the well-thought-out Gram Panchayat Development Plan based on the local needs will pave the way for inclusive progress of the village. For this, the Gram Panchayats will have to craft a Gram Panchayat Development Plan (GPDP) with the consent of all the villagers while properly managing their entire external and internal sources - resources. In fact, it will be a major step towards the creation of a new India through Panchayati Raj system. The aim of the government is to connect rural people to the mainstream while keeping in focus the principle of Sabka Saath Sabka Vikas'. It is true that till there is no equal participation of the first and the last person of the village in the decisions of socio-economic development of the village, we will stay miles away from the idea of Mahatma Gandhi's concept of gram-Swaraj. Panchayat system and local self governance system will only be strengthened when the common man understands the importance of his participation in activities related to the Gram Sabha and the Gram Panchayat. To achieve the desired goals and benefits of the Gram Panchayat Development Plan (GPDP), it is essential that at the grassroots level Panchayat representatives, Panchayat-workers, Self-help groups, beneficiaries and even the common people. It is noteworthy that in the 13th Finance Commission, a total of Rs 63,051 crores was recommended for all three-level panchayats district, block and village panchayats, while under the 14th Finance Commission, Rs 2 lakh 292 crores was approved to be made available directly to gram panchayats alone. This financial provision is more than three times as compared to the 13th Finance Commission. Today the situation is that the Panchayats have funds available from the Central Finance Commission and the State Finance Commission, it is getting assistance from MGNREGA and funds are also being received by them through several other schemes. Therefore, Panchayats now have no shortage of funds for infrastructure development, for developmental works according to the local requirements and for other community activities. If this fund is utilized in a well planned manner, then visibly large scale work can be undertaken. After the conclusion of this campaign, the development plan of each Gram Panchayat will be sent to the Central Government. Generally all states are enthusiastic and hopeful of this plan. This campaign is being launched after the completion of the intensive Gram Swaraj campaign executed in two phases with the aim of bringing 100 per cent coverage of the seven major schemes of the central government and bringing all the eligible persons within their purview. The seven major schemes related to the Gram Swaraj campaign are: - Prime Minister Ujjwala Yojana of providing free LPG connections, Saubhagya Yojana related to providing domestic electricity connections, Ujala Yojana related to distribution of LED bulbs, Pradhan Mantri Jan Dhan Yojana, Prime Minister Jeevan Jyoti Yojana, Prime Minister's. On the occasion of National Panchayati Raj Day on April 24, 2018, Prime Minister Narendra Modi launched a reconstituted "Rashtriya Gram Swaraj Abhiyan Yojana (RGSA)" in Mandla, Madhya Pradesh to strengthen Panchayati Raj system in the country and to eliminate hurdles and problems in its road to success. The main objective of this scheme is to make rural local bodies self-reliant, financially sound and more efficient. The implementation of this scheme will be done for four years from 2018-19 to 202122. For this, financial provision of Rs. 7255.50 crores has been earmarked. Through Rashtriya Gram Swaraj Abhiyan Yojana, the administrative capability of Panchayati Raj Institutions will be developed to work effectively on sustainable development goals. For promoting better service delivery and good governance, emphasis would be given on e-governance and technology based solutions in Panchayats. It will focus on increasing own revenue-sources of panchayats. Apart from this, Panchayati Raj Institutions will be made capable to attain adequate quality standards in infrastructure facilities, human resources and result oriented training through this scheme. In order to make Panchayati Raj institutions strong and effective, the results of the sincere efforts made by the present government are visible in different sectors of development. Under Prime Minister ambitious plan - Swachh Bharat Mission, the contribution of gram panchayats in making the country Open Defecation Free(ODF) is really commendable. 14.78 million more families have access to their own toilets. The number of community cleanliness premises has gone up to 18,293. In fact, this achievement of Swachh Bharat Mission is inconceivable without the active and sincere efforts of Panchayats, Panchayat-workers and representatives.